Garden pests go under the microscope in our latest Essential Guide: Natural Solutions. We've been short-listed in the Maggies! 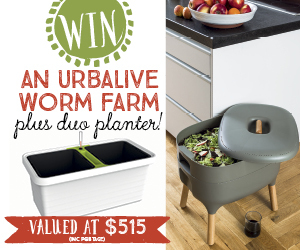 Vote for us online and win a $5 gift voucher. Our Organic Gardener Essential Guide: Backyard Chickens was recognised by the judges as a FINALIST in the recent Publishers Australia Excellence Awards. All you need to know to keep your chooks healthy and happy, in a 124 page book-quality magazine. Hot on the heels of the release of ABC Organic Gardener magazine for tablets and smartphones, come the digital versions of the ABC Organic Gardener Essential Guides. The digital versions of Herbs & Spices (issue 4) and How to… (issue 5) are now available through Zinio - the world’s largest on-line news-stand. Suitable for all tablets and personal computers. It’s here! 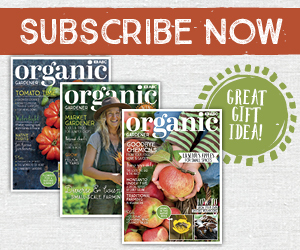 The digital version of ABC Organic Gardener magazine is on sale now. The digital version of ABC Organic Gardener magazine is now available through Zinio - the world’s largest on-line news-stand. Click here to subscribe: www.zinio.com/ABCOrganicGardener. A year of inspiring organic gardening from the ABC’s Organic Gardener magazine. 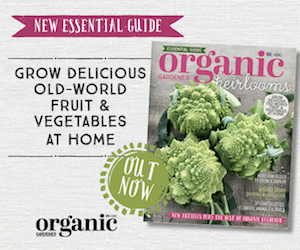 Featuring luscious colour photographs of plants and produce, plus great organic gardening tips. Available from newsagents, ABC Shops, ABC Centres or on-line. Order now, here.